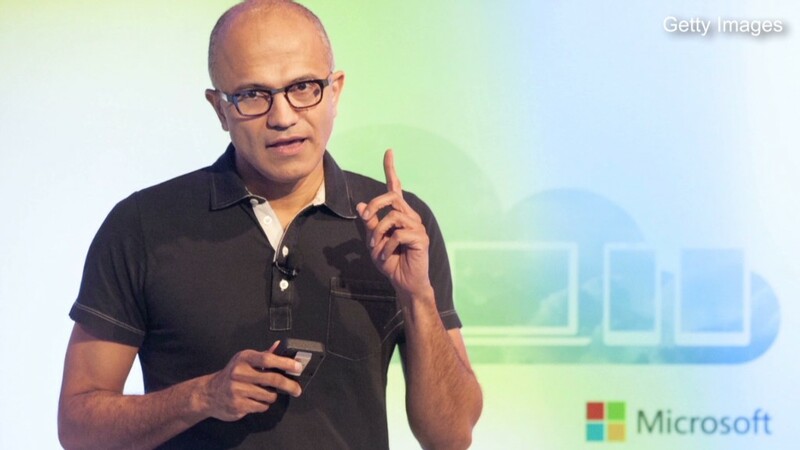 Microsoft CEO Satya Nadella wasn't kidding -- he really is making bold changes. The software giant said it would cut 18,000 jobs within the next year -- about 14% of the company's 125,000 employees. That's by far the largest round of layoffs in the company's history. The previous record came during the lowest point of the Great Recession, when Microsoft (MSFT) cut more than 5,000 jobs in 2009 -- the first mass layoff in the company's history. Most of the latest round of layoffs -- 12,500 -- will come from Nokia's devices and services business that Microsoft recently bought. In a memo to Microsoft's staff, Nadella said that Microsoft found many redundancies between the two companies, including both professional and factory workers. Microsoft didn't identify which regions the job cuts would come from, only saying it has laid off 1,351 employees in the Puget Sound, Wash., area where Microsoft's headquarters are located. Those cuts represent about 3% of the employees based in the region. The majority of Nokia employees work in Finland. Microsoft is also cutting 5,500 other jobs at the company. As part of the company's new strategy, which Nadella outlined in a separate memo to employees last week, Microsoft will focus intently on improving its mobile and cloud productivity software, including Office 365, Windows Phone, Windows Azure, Skype, OneDrive and Bing. Nadella said Microsoft was in need of a "culture change." Microsoft's rivals, including Google (GOOGL), Apple (AAPL) and Amazon (AMZN), have in many ways beaten Microsoft at the mobile and cloud game in recent years. Mobile and cloud are where most of the tech industry's growth is coming from. Related: Did Apple and IBM just kill BlackBerry? As part of the company's strategy shift, Nadella said Microsoft would kill off Nokia's short-lived "Nokia X" Android smartphone experiment. Those low-cost phones will soon be made to run Windows in an effort to help Microsoft gain traction in the fast-growing budget smartphone business. Many of the job cuts will come from the management ranks, as Nadella pledged to have fewer layers of "top-down and sideways" oversight "to accelerate the flow of information and decision making." "We will simplify the way we work to drive greater accountability, become more agile and move faster," Nadella said. "The overall result of these changes will be more productive, impactful teams across Microsoft." As the company cuts jobs, Nadella noted Microsoft will also be hiring in those "strategic areas" that he laid out last week. Nadella said the first 13,000 job cuts would come in the next six months, and Microsoft said it expects the layoffs to cost the company up to $1.6 billion over the next year. Though Microsoft is laying off a massive number of employees, it doesn't come close to the biggest job cuts in corporate history. IBM (IBM) cut 60,000 jobs in 1993 as part of a massive restructuring of the tech giant. During the Great Recession, Citigroup (C) slashed 75,000 jobs between 2008 and early 2009. And Hewlett-Packard (HPQ) laid off 27,000 employees in 2012. Microsoft's shares rose more than 3% Thursday morning.